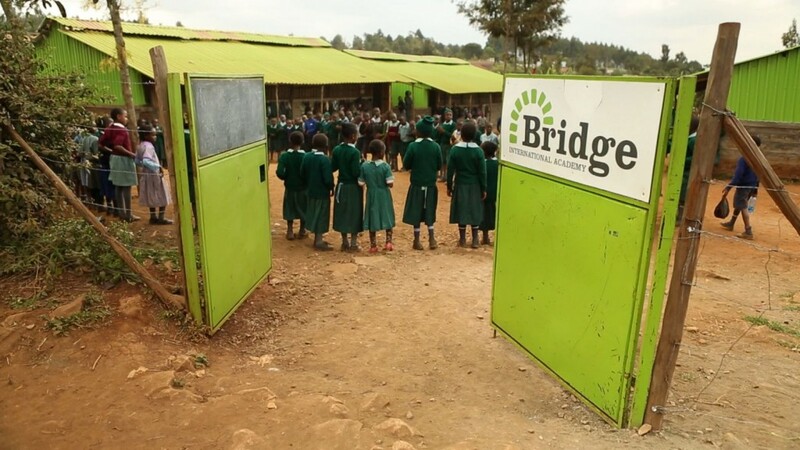 Bridge schools are backed by Bill Gates and Mark Zuckerberg. The schools claim to have 12,000 students in Uganda and 100,000 students across Africa, mainly. According to their teaching model statement, teachers read scripted lessons from a tablet. The content of learning is standardised and not adapted to individual needs. It is suggested that this is an effective low-cost way of providing ‘quality’ education. Nevertheless, Bridge Schools in Africa have been the subject of much controversy. The UN has suggested that funding such schools could contribute to violations of international law. Those who suffer the most from this are poor Ugandans, they are caught at the intersection of a convergence of disadvantage: government education is unreliable, often unsanitary, and almost always underfunded. Private education is unaffordable and inaccessible for most Ugandans. Yet Bridge education is barely education at all. The Bridge educational structure is problematic because it ignores the legal, theoretical and historical requirements of education in Africa. As I have previously argued in an article, education in Africa needs to be decolonised, backed by a general decolonial attitude. I contend that un-decolonised education results in epistemic violence/injustice and is thus pedagogically and ethically unsound – violating the right to education. Problematically, the promotion of the right to education in Africa is focused only on improving the availability and accessibility of education, ignoring the need for acceptability and adaptability. Also the inadequacies of African education systems are played out against a background of high child-marriage rates, parent illiteracy, poverty and political unrest. While some regional legal instruments attempted to include ‘African values’ within their standards, these provisions failed to be effective, as they are attached to legal norms that seem to be in direct contradiction to those propositions of ‘African values’. For a socio-legal perspective of education in Africa, deconstructive postcolonial theory examines the effect of the colonial encounter on Africa’s socio-economic and socio-political structures e.g. educational institutions. Deconstructing the post-colonial speaks of what Africa can be, despite the trauma of colonialism and the incapacity of the post-colonial state. The idea that African knowledges are pre-logical and pre-critical, was a driver for colonialism and pervades Africa’s current relation with the rest of the world – power structures, politics, language and knowledge. Because the Bridge School model relies on a completely externally created content, students are being made into mimics of educational material and not masters. This should be intolerable. However, substandard education only suffices because our gaze of Africa is seen through its representations rather than its substantiation or any engagement with African humanity or the subjects’ lived experiences; these representations confine our collective memory to one of absolute night, forgetting the existence or possibility of sunrise. Education becomes a tool of conformity, rather than a means of personal and national development. We limit our vision of possibility, killing dreams before they are born. While education may be physically available and accessible, the learner suffers a deficit in epistemological access and availability, resulting in pedagogically unsound learning at a high psychological cost. The type of education offered by the Bridge Schools ideologically dislocates individuals from their society and, due to limited literacy and numeracy, does not equip them for any other. It results in a citizenry with low civil affinity to the state and little technological know-how, depriving African states of the right to democracy and development. The prestige of education becomes the end of education and its only purpose. From suspect colonial education to inadequate neo-colonial education, African states have been able to do little to implement the right to education effectively. International financial institutions imposed economic programmes in the 1980s and 1990s that resulted in reduced spending on education. African attempts to collaborate with the West in this regard are further encumbered by comparatively higher costs of travel, difficulties in obtaining visas or visiting fellowships. Which is why decolonisation is vital. Decolonisation of education has to be focused on research-intensive interdisciplinarity, cross-cultural, egalitarian, overt, persistent, capacity-sharing and competence-building. Decolonising education in Africa should have as one of its focuses the liberating purpose of education. Therefore, I agree with the judge’s decision in the Bridge Schools case. The focus on the schools’ lack of licences overshadows a far more important point. The education offered by the Bridge Schools has the potential to violate international law. It creates a dilemma from which there is apparently no possible escape: the African cannot be known without the tools of education, yet this education dilutes the authenticity of past experience and makes the knowing superficial. Quality education is prevented by rote school attendance. Conclusively, the education provided by the Bridge Schools cannot be said to be of an acceptable quality, because it does not equip its learners for freedom. The Bridge schools are almost certainly pretty poor, but many Ugandan state schools are probably also pretty poor. I wondered whether the Bridge schools were taking in students for whom there were not places at state schools, of if they were actively competing for students (maybe a bit of both?). These uncertainties aside however, the Bridge schools, as they expanded, likely became an increasing source of offence/embarrassment to the Ugandan Ministry of Education. How is the Education Minister supposed to answer when Mr Museveni asks him “Why are you not looking after all Ugandan children? Why are you letting these mzungus undermine our education system?”. Essentially, Zuckerberg and Gates made a category 1 error in their approach to improving education in Uganda. In international development, you MUST always work with local institutions and structures. This includes government departments, district councils, local NGOs with similar goals. At the outset this might seem like a more difficult path, but better to strengthen the Ugandan Ministry of Education than set up a competing system. Why couldn’t they have donated some of the technology and learning tools to the existing schools, with programmes to train teachers on how to use them? Why not fix the toilets or dormitories, and increase capacity at existing schools? Or if a new school is needed because of the number of students in a given area, build it but have it within the Ministry of Education. Need more teachers? Give a grant to the Ministry to Employ more teachers, or use VSO or Peace Corps volunteers – organisations with long standing and successful relationships with government ministries. The main lesson: Hell hath no fury than a government minister spurned… especially not by a military-style autocrat like Museveni. I agree with you totally. Museveni and the Ugandan government created an educational ecosystem that enabled flawed international development to take root and thrive. The only argument I have seen against the court’s decision has been to raise the poor state of government-owned schools. But as you say the Bridge schools are either tools for international development or want to make a profit. International development that does not develop is bad. But this does not suggest that Museveni has a free pass either.